It happened. I’d drafted another blog post on writing, but for some reason, I hadn’t posted it. Stress? Maybe. Procrastination? Sure. Fear? It could be. I discovered it’s more than that. I need to follow hard after God, and if he’s asking for a change in direction, I need to answer it. Not to worry. I’m not giving up writing. Not at all. For blogging, I want to share more on the challenges and joys that come with having a full-time job and balancing that with the rest of my life, what I call on-the-edge living. Am I an expert at this? I’m not a life coach. I don’t have a Ph.D. in organizational management. And no, I don’t have a bunch of letters after my name to show certification in time management, organization, or anything else. What I do have is honest-to-God experience. I work full time for the NC Department of Environmental Quality, and I love my job. 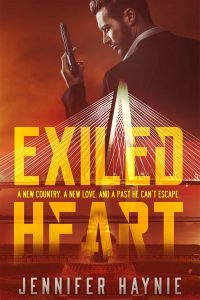 I write suspense novels. I have two dogs, a husband, family, and friends. I also treasure time at my Bible study, my small group, and my church. So, yes, I have an extremely full life that goes to overflowing at times. Many times, I feel like I’m living on the edge. I plan to share tips, funny stories, and wisdom about this on-the-edge living that I do. Maybe together we can tackle this thing called life. I hope we laugh: you when you read some crazy things that can happen, me when I write them. We can also think about tough things related to balancing our lives. Most of all, we can learn from each other. 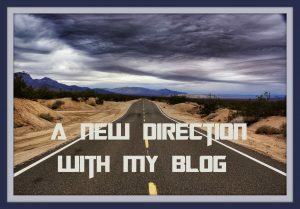 I’m looking forward to this new change in direction with my blog. Question: What is going on in your life that makes you feel like you’re living on the edge? Comment in the box below.